Our leadership team is responsible for directing the work at University of Utah Health, as well as the University Neuropsychiatric Hospital. Gordon Crabtree has been the CFO for University of Utah Health since 2002. In this role he is responsible for all financial aspects of U of U Health. He currently serves as CEO. Prior to joining the organization, Gordon worked with the Salt Lake Olympic Committee as the managing director of finance. In this position he was responsible for financial reporting, debt management, cash management, accounting payroll, revenue management, rate card services, dissolution/liquidation, taxes, financial audits, and internal audits. Prior to the Olympics, Gordon worked for the state of Utah in the positions of director of finance, assistant director of finance, and audit manager. He has an MBA from the University of Utah and a BS in accounting from Weber State College. Charlton Park is the Chief Financial Officer and Chief Analytics Officer of the University of Utah Hospitals and Clinics. Park oversees the financial planning, budgeting, general accounting, operational and capital financial planning, analytics, and revenue cycle functions. He has played an important role in the development of various integration models across several clinical programs, using financial and clinical data to increase collaboration and alignment between physician specialties and the hospital. Charlton also played a key role in developing the organizations’ Value Driven Outcomes (VDO) initiative which provides accurate, actionable cost accounting and outcomes information at the visit level. Charlton received his Bachelor of Science degree in Information System from the University of Utah in Salt Lake City, Utah and his MBA and Master of Health Sector Management degrees at Arizona State University in Tempe, Arizona. Chief Hospital Human Resource Officer Dale A. Spartz, PhD, oversees human resources for more than 8,000 medical personnel and staff at University of Utah Health's four hospitals and 12 community clinics. In this role, his primary responsibility is to collaborate with the executive leaders to improve employee engagement, increase our talent pool, and ensure that we retain our top performers. Dale has been a successful HR leader at multiple health care systems across the country. Before joining University of Utah Health in June 2013, he served as vice president for human resources at the Stanford University Hospitals & Clinics in Palo Alto, Calif. During his tenure at Stanford, employee engagement scores jumped markedly. In addition, while he served on the Stanford Patient Experience Committee, patient satisfaction scores went from the 45th percentile to more than 90 in an 18-month period. He also has championed multiple LEAN initiatives to improve quality and reduce waste. 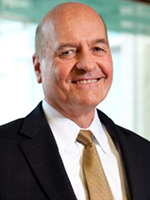 Dale also served in senior HR positions in health systems in Arizona, Illinois, and Iowa. Dale received his PhD in organizational development from Benedictine University in Lisle, Ill.
Dr. Turnbull's career spans over 30 years in the health care industry, split between the Canadian and American Health Systems. Since March of 2008, he has served as chief information officer of the University of Utah Health. 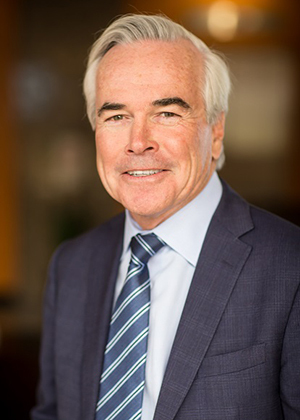 Prior to joining U of U Health, Dr. Turnbull served for seven years as senior vice president and chief information officer of The Children's Hospital in Denver, Colorado. His academic background includes a BA in organizational psychology, an MBA from the University of Western Ontario, and a DHA from the Medical University of South Carolina. 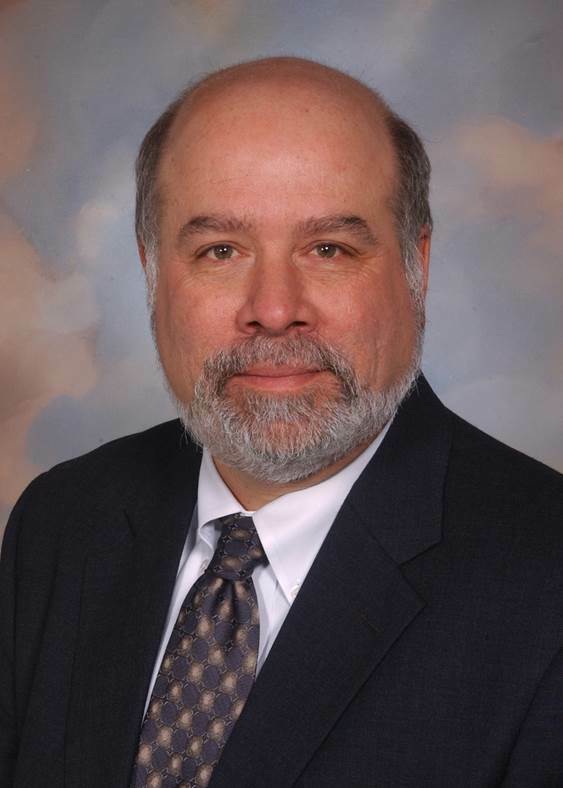 Dr. Turnbull has been a recipient of the Computerworld Smithsonian Award in 1996 and 1998, and was the recipient of the CHIME-HIMSS 2012 John E. Gall Jr. CIO of the Year Award. Jim is a former board member and chairman of the College of Healthcare Information Management Executives (CHIME), and a fellow and former president of the Healthcare Information and Management Systems Society (HIMSS). Linda S. Tyler, PharmD, FASHP, is chief pharmacy officer for University of Utah Health and associate dean at the University of Utah, College of Pharmacy in Salt Lake City. She is responsible for the comprehensive pharmacy services of four hospitals, four infusion services, and 14 retail pharmacies, as well as ambulatory clinical services and the University of Utah Drug Information Service (DIS). She also serves as residency program director for the two-year combined health system pharmacy administration residency and master of science degree program. She has served as the senior pharmacy leader for the organization since 2008. Dr. Tyler earned both her bachelor of science in pharmacy and doctor of pharmacy degrees at the University of Utah. She completed a residency in pharmacy practice at University of Nebraska Medical Center. Margaret Pearce, CNO, of University of Utah Health, provides leadership for nursing across the hospital system. Margaret joined U of U Health as a consultant for service excellence in 2005 and became the CNO in January of 2006. 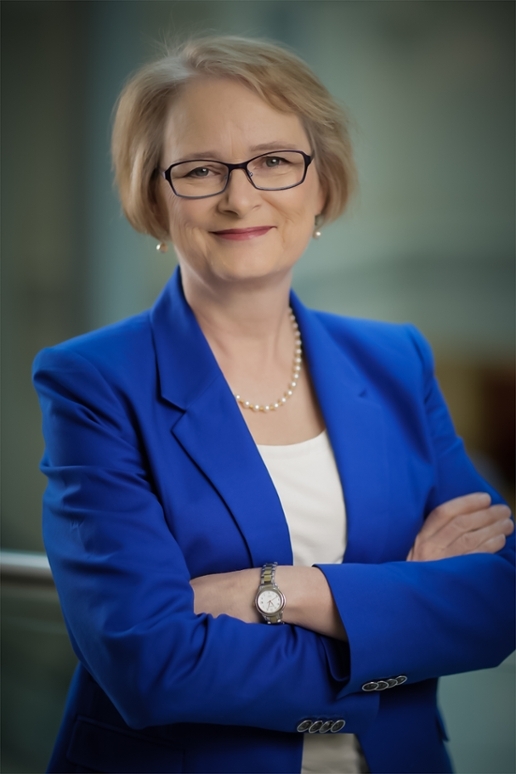 Margaret previously served as VP of patient services/CNO at both for profit and not for profits hospitals and systems across the country since 1994 and as a national consultant for service excellence since 2004. Margaret received her BSN from the University of Southern Mississippi, her MSN from the University of Wisconsin-Oshkosh, and her MBA and PhD in health administration for Kennedy Western University. 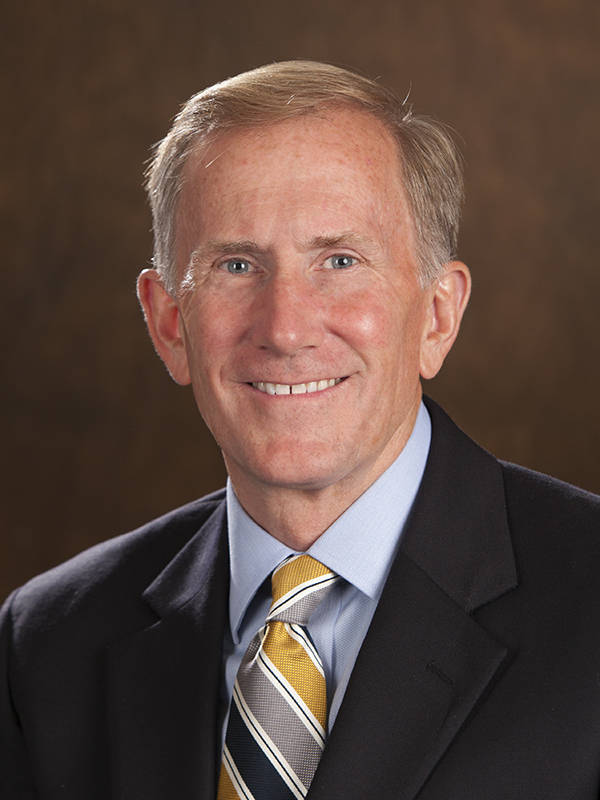 Dan Lundergan has worked for the University of Utah Health for over four decades and has held numerous positions within the organization. 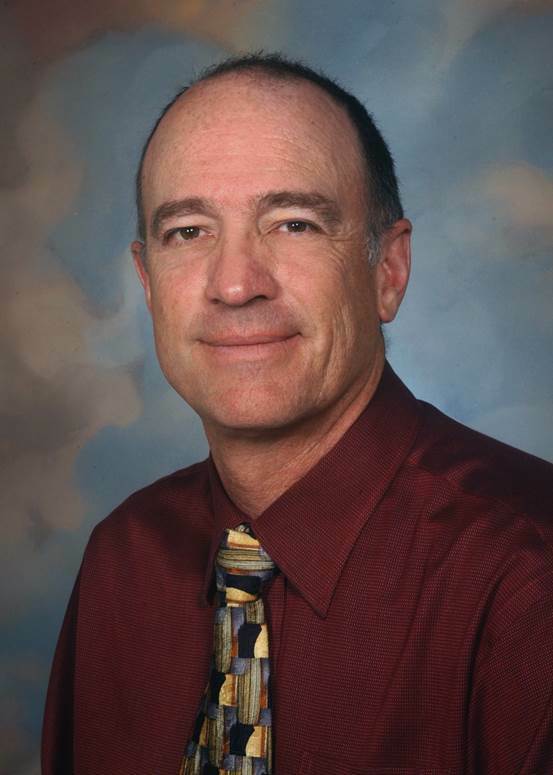 His past experience includes, but is not limited to the management of the Surgical Services and Ambulatory Clinics, as well as working with Dr. John Dixon, for six years in the Laser Institute, where he coordinated the administrative functions, established a post-graduate educational program for physicians around the nation and participated in various research projects published in academic books and journals. As the Chief Operating Officer, Dan works with the executive team to develop strategies to ensure the hospital’s ongoing financial viability and fulfill its safety, satisfaction, and quality priorities. Dan works closely with the Senior Vice President's Office in coordinating master space planning, strategic planning and various initiatives that impact the University of Utah Health System. Dan continuously participates in innovative strategies to prepare for the ever changing healthcare industry. As a vital executive for hospital operations, Dan’s key roles are merging institutional strategies into operational accomplishments. In doing so, he is creating a successful data-driven environment under an umbrella of intuition and insight. Dan is passionate about creating an atmosphere with positive working relationships, the flexibility to learn from mistakes, and an overall environment of trust, honestly and mutual respect. Dan values teamwork and envisions a culture change within hospital operations for local and national healthcare policies. Dan has a deep appreciation for the University of Utah Health’s multi-mission to provide exceptional quality and patient experience while advancing science and education. He is committed to making a difference for both the patients and their families. Thomas L. Miller, MD, is the chief medical officer for University of Utah Health and the executive director for the ambulatory clinics. He is also a faculty member of the University of Utah's School of Medicine. As a member of the University of Utah Hospital Administrative Team, Dr. Miller is responsible for overseeing all executive and clinical medical issues of the hospital. He is also a practicing and teaching clinician in the Division of General Medicine, Department of Medicine. Dr. Miller received his BA in chemistry from Colorado College and MD from George Washington University in Washington, DC. He completed residency and chief residency in internal medicine at the University of Utah, Department of Medicine in 1992. 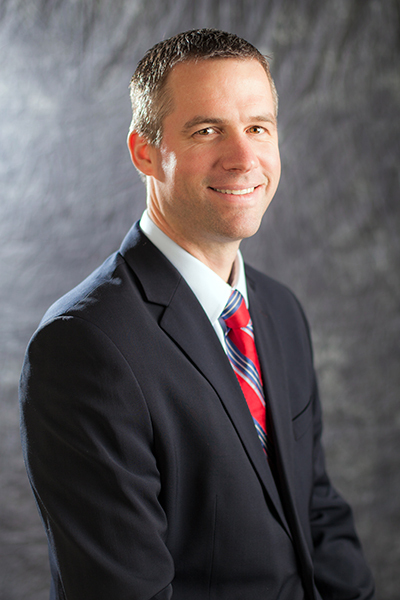 Bart is the executive director of University of Utah Orthopaedic Center and directs all the operational activities of the Orthopaedic Center and the orthopaedic service line at University of Utah Health. In this capacity, he works collaboratively with the executive team of the hospitals and clinics and the Department of Orthopaedics in achieving and aligning initiatives that advance orthopaedics at University of Utah Health. Prior to arriving at U of U Health, Bart was chief executive officer at Pioneer Valley Hospital. He also served as chief operating officer at Salt Lake Regional Medical Center. Bart has held several hospital management positions, compiling more than 20 years of management experience in health care that stemmed from clinical positions in laboratory medicine. Bart received his BS from Brigham Young University and his MBA from Indiana University. Ben Tanner serves as executive director of the cancer hospital, part of Huntsman Cancer Institute and University of Utah Hospitals and Clinics. In this role he oversees operations of the state-of-the-art, 100-bed facility, including program planning and physician relationships. The cancer hospital is the patient-treatment component of Huntsman Cancer Institute, the only National Cancer Institute (NCI)-designated comprehensive cancer center in the five-state Mountain West. It houses cancer care services for the University of Utah Hospitals and Clinics, including a chemotherapy infusion suite, operating rooms, radiation therapy facilities, multidisciplinary clinics, imaging services, BMT, oncology intensive care, and supportive oncology services. From 1999-2016, Tanner was chief operating officer of the cancer hospital and director of the oncology service line for University of Utah Hospitals and Clinics. Tanner holds a master of health administration. Alison Flynn Gaffney has been with University of Utah Health since 2017, and currently serves as the Executive Director responsible for the U of U Health Perioperative, Imaging, Lab, and Ancillary Services. Prior to joining University of Utah Health, Alison has worked over 25 years in several senior level strategic, operations and consulting roles at academic medical centers, community hospitals, and consulting companies. Alison was most recently at GNYHA Ventures, Inc. and has worked for other global organizations such as Giuliani Partners, LLC, and New York Presbyterian Hospital Weill-Cornell Medical Center. In these roles and others Alison has been a proven leader in health systems operations, financial management, supply chain, staff growth & development, strategic planning and business development. Alison received her BS in Health Care Administration and MHA in Health Services Administration from Iona College in NY. 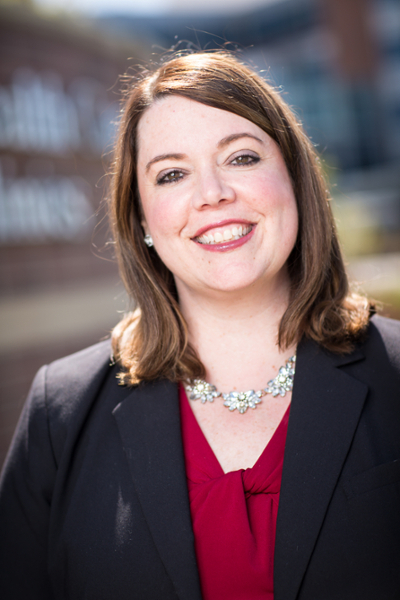 Alison is a Board Certified Fellow of the American College of Healthcare Executives (ACHE) and Certified Materials and Resource Professional through the Association for Healthcare Resource & Materials Management (AHRMM). Alison also serves on a countless number of Boards including but not limited to; Ronald McDonald House Charities of the Intermountain West, AHRMM, ACHE and the MHA Community Advisory Board at the David Eccles School of Business volunteering her time and expertise to impact organizations and people in a positive ways. 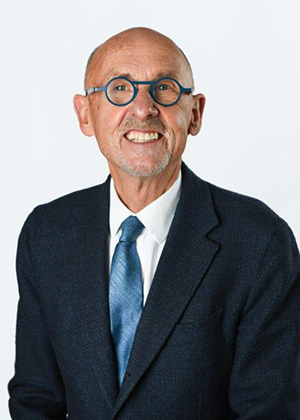 Ross VanVranken is the executive director for the University of Utah Neuropsychiatric Institute (UNI) and administrator of behavioral health services for the University of Utah Health. UNI is a 90-bed acute psychiatric hospital that treats the full spectrum of mental and chemical dependency diagnoses. His primary role is to ensure UNI's commitment to providing the highest standard of care across the full spectrum of behavioral health services, to assure the integration between clinical care and educational research, and to maintain UNI's standing as a community leader in the area of behavioral health. Under behavioral health services, Mr. VanVranken is responsible for the operations in the hospital of 5 West, a 24-bed medical/psychiatric unit; 5 East, a four-bed tuberculosis unit; social work; and customer service. Mr. VanVranken has been the director of UNI since 1991. Prior to assuming his current role, Mr. VanVranken served in a variety of clinical and administrative capacities in both the private sector and for University of Utah Hospital. He is a native of Utah receiving his undergraduate degree in psychology and master's degree in social work from the University of Utah. Tad A. Morley, MHA, FACHE, executive director of business and network development and vice president of outreach and network development has worked for the University of Utah Health since March 2013. In his current role, he oversees the business operations of University of Utah Health's outreach and regional network development. He and his team work with physicians, hospitals, payers, and employers to deliver coordinated and collaborative health care. Prior to joining the organization, Tad worked as a CEO and COO at hospitals in Utah, Nevada, Idaho, and Oregon. Tad was also a member of Leavitt Partners, a leading domestic and international health care consulting firm. He provided strategic counsel to hospitals, health systems, and payers and advised private equity health care investors. His expertise in the health care industry has made Mr. Morley a sought after speaker at conferences and senior executive meetings nationwide. Mr. Morley graduated from Brigham Young University with a Bachelor of Arts in Organizational Communications and received a Master in Healthcare Administration from the University of Minnesota. He is a fellow in the American College of Healthcare Executives. After over 26 years of professional experience with the John A. Moran Eye Center, Wayne accepted a new position as executive director of ambulatory services as of February 2013. Wayne currently holds the executive director positions for both ambulatory services and John A. Moran Eye Center for the University of Utah Health. With Wayne’s extensive expertise in ophthalmology, he has held several technical and administrative professional roles at Moran since 1986 and has served as Moran’s executive director since 2005. The Moran Eye Center is currently the largest eye care and vision research center in the Mountain West. The center is dedicated to serving the visually impaired through patient care, research, education, and community outreach. With its eleven satellite locations, the center hosts more than 100,000 patient visits and 5,000 surgical procedures each year. Wayne provides senior administrative leadership in the areas of strategic business development, operational improvement, financial performance, clinical operations, and quality of care. In his new role with ambulatory services, Wayne oversees ten community clinics, serving more than 170,000 patients each year and works directly with ambulatory directors and managers in setting strategic and operational direction. Ambulatory services are often the entryway into the hospital’s system of care. Outside U of U Health, Wayne currently serves as president for the University Administrators of Ophthalmology. Prior to joining U of U Health in 1986, Wayne directed the medical imaging services at the King Khalid Eye Specialist Hospital in Riyadh, Saudi Arabia. Wayne received his bachelors' in mass communication and his master’s in public health and health services administration from the University of Utah.